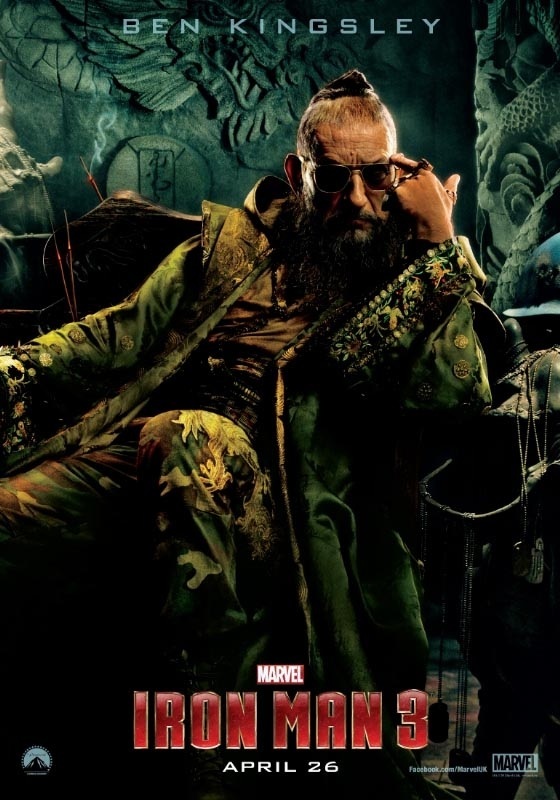 WillingToBeLucky.net: New IRON MAN 3 Poster!!! Gwyneth Paltrow!!! Another fantastic Iron Man 3 character poster featuring Gwyneth Paltrow's Pepper Potts has been released! 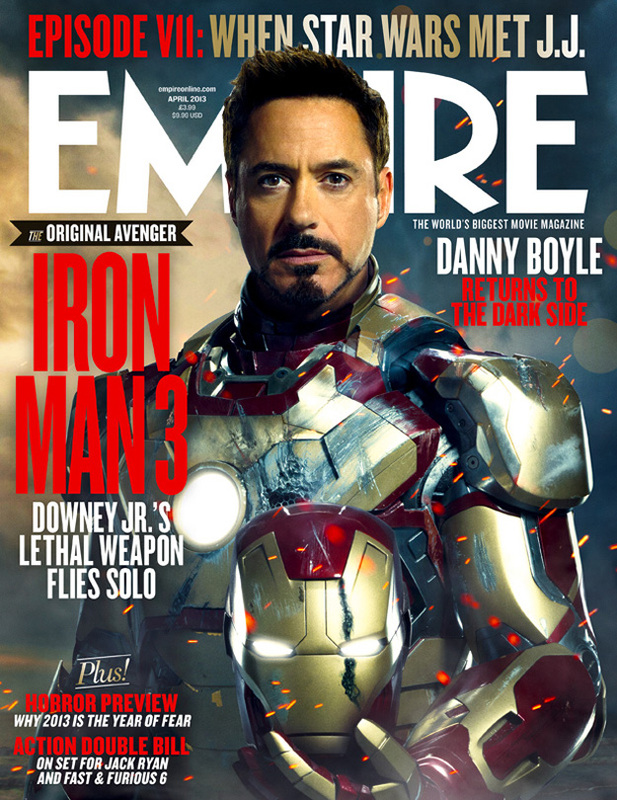 EMPIRE Magazine has also unveiled it's Iron Man 3 cover. 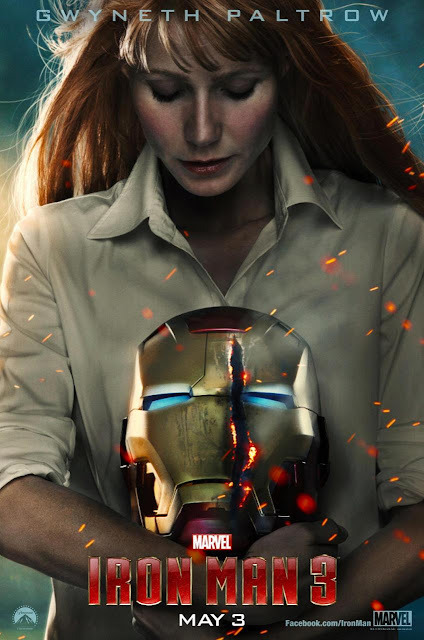 The Potts' poster features Stark's girlfriend cradling Iron Man's sliced helmet. 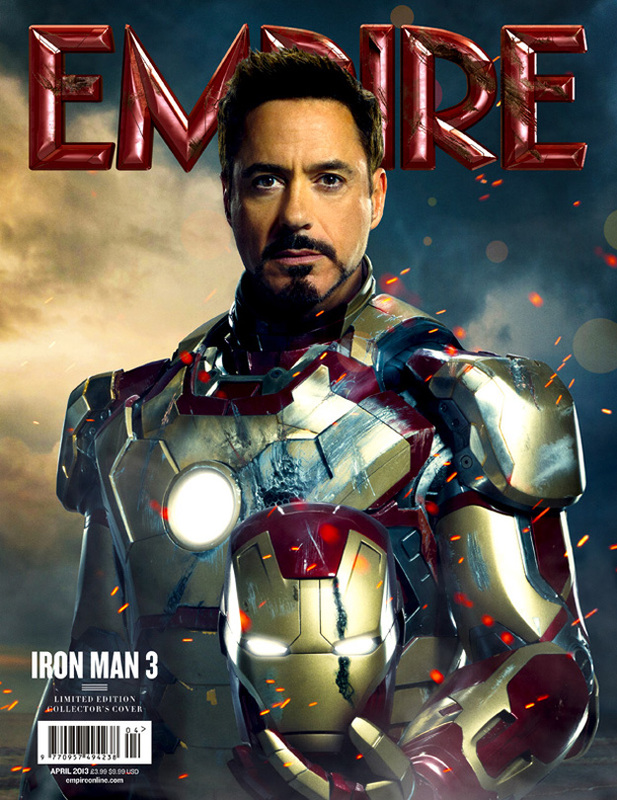 While the Empire cover features a roughed up Iron Man, helmet in hand, revealing the handsome face of Tony Stark (Robert Downey Jr.). A poster featuring Ben Kinglsey's Mandarin was also released last week. IRON MAN 3 is set to hit cinemas 26 April in the UK & May 3 in the US! Catch it in IMAX 3D at at theatre near you!! !